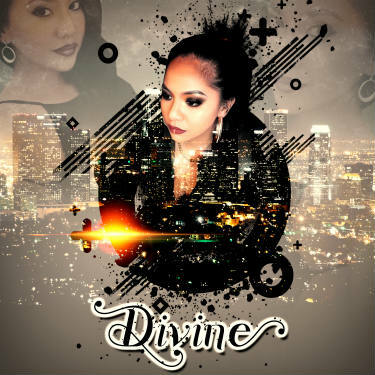 Runaway is the debut single from “Divine,” an up and coming artist from the Philippines. Her mother and sister are both singer’s also, so the passion to perform runs in the family. One listen to Runaway is enough to realize Divine is a talented singer. She sings on key and has a dynamic vocal range. Unlike with other pop artists, the effects in the song are used to accentuate her voice rather than conceal flaws. Take away the beats, the synths and everything else on the recording, and she could still manage to captivate the audience with her vocals alone. She also sings with expressive emotion and a touch of attitude to match the tone of the lyrics. In particular, her rendition of the chorus is where she really shines. Runaway is a professionally produced pop song of label quality with a video to match. The lyrics center around a love interest whom Divine is advising and pleading with him to run away, so that she won’t have to break his heart. Basically, she has feelings for him but thinks he should stay away for his own mental health. It’s a contemporary spin on a classic romantic theme. I could see this artist rising in popularity if she continues to surround herself with a good team. All of the framework is there. It’s important to mention that Runaway is not officially available yet. It will be available for pre-order on Nov 2nd, and the official release is scheduled for Nov 9th.